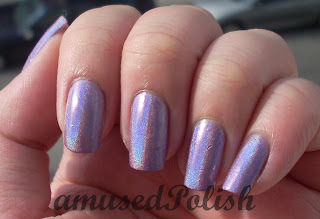 I got infected with the holo-fever by polish insomniac and couldn't wait to paint this one on my nails. IDK is from their OMG collection. 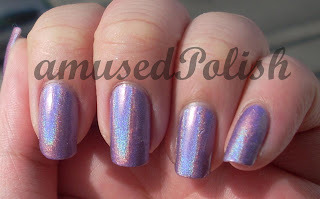 I hope they (or any other company) will release another holo-collection, because I know, that I'll buy them all ;). It was opaque in two thicker coats and reveals its true glory when the sun hits it. I didn't had any issues with the application and it stayed on pretty well for 3 days. It is even more holographic in person, too bad my camera didn't picked it up.